Dear Friends, the Ministry of Home Affairs (MHA) has activated the links to download Call Letter - Admit Card for the upcoming Intelligence Bureau(IB) ACIO (Assistant Central Intelligence Officers) Exam 2015 which is going to be held on the month of February. 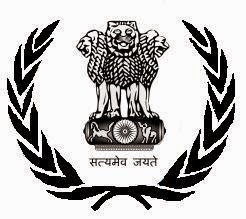 As you all know, the Ministry of Home Affairs (MHA) has invited online applications between 11th October 2014 to 9th November 2014 for filling up 750 ACIO Posts in Intelligence Bureau (IB). So they have activate the Link to download the IB ACIO Exam 2015 Call letters. The exam is scheduled to be held on 22nd February 2015. You can download your call letters of IB ACIO Exam 2015 from the below link by entering your Registration Number and Password.